During the construction process, the contractors decided to use SCP technology to protect the concrete. 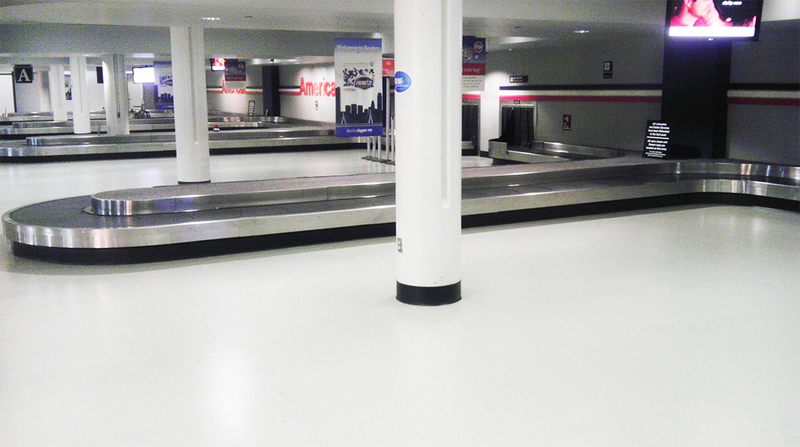 SCP 578 was applied to 11,050 square feet of concrete in the baggage area, penetrating the capillaries and pores to provide a permanent internal barrier to moisture and alkalinity. This ensured the concrete floor would resist moisture migration. Surface preparation was minimal, allowing contractors to expedite the construction process. Workers accessed the area in just one hour after application. 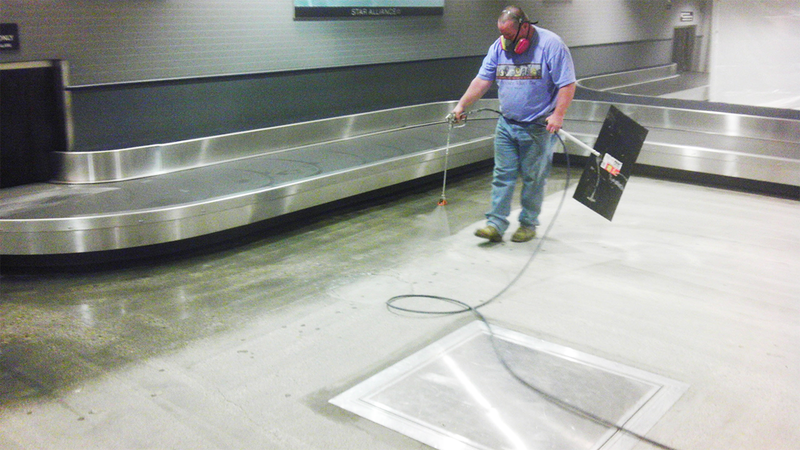 SCP 578 minimizes construction-related delays such as construction traffic restrictions, extensive surface preparation, and the installation of other moisture treatments. SCP technology offers the fastest and most costefficient flooring moisture and alkalinity solution to meet the demands of today’s fast-track construction process.